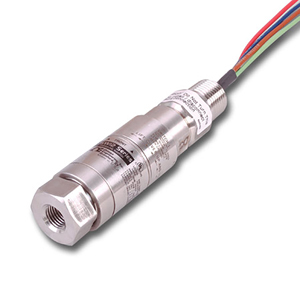 OMEGA'S PSW12 offers reliability, repeatability and durability in a compact design. This switch is rack mountable and has an accessible adjustment when installed. Snap-Action Belleville spring design contributes to a long stable life and vibration resistance. An optional mounting bracket provides easy retrofit, and an optional cover lock adds security. Ranges are from 8 to 6000 psi (0.6 to 414 bar). Ambient Temperature: -50 to 80°C (-58 to 176°F). Setpoint typically shifts less than 1% of range for a 28°C (50°F) ambient temperature change. Switch Output: One or two SPDT, factory sealed leadwires. Mechanical contact life: 10 million cycles. Electrical Connection: 1/2 NPT (male) with 1.8 m (72") lead wires.